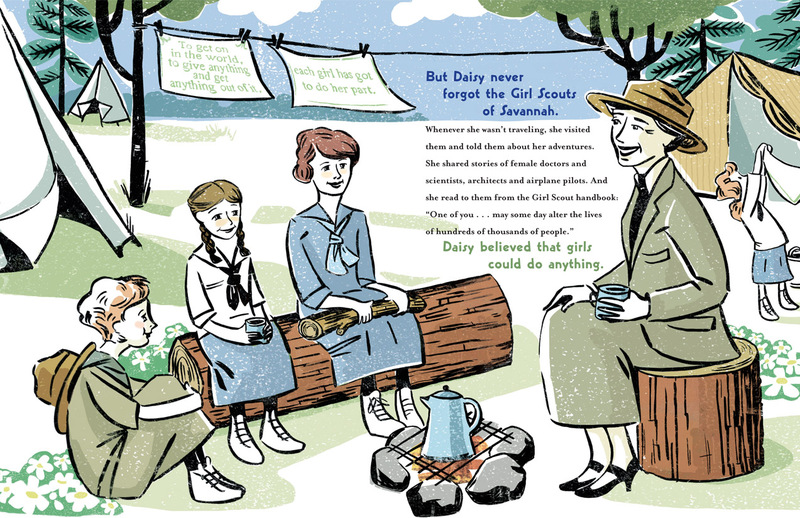 Illustrations from Here Come the Girl Scouts! 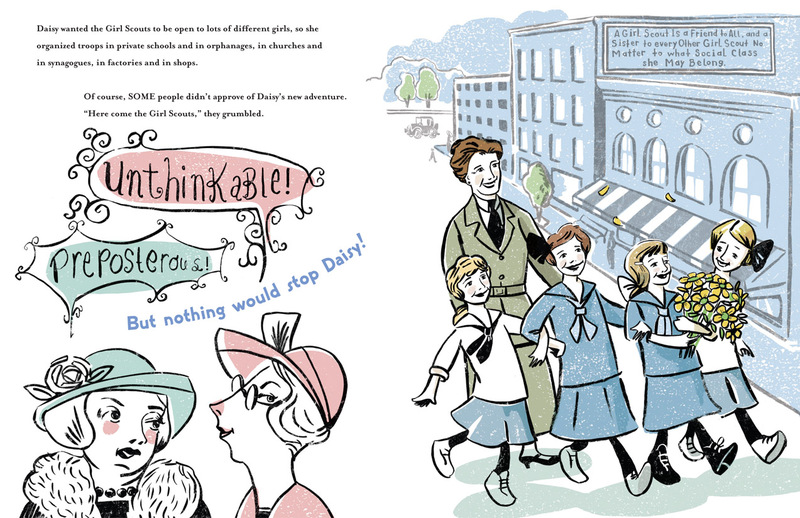 by Shana Corey, illustrated by Hadley Cooper. Copyright 2012. Used with permission from Scholastic Press. Thanks for sharing these. All I had seen was the cover art and now, after looking at these spreads, I can’t wait to get my hands on the whole thing! Thanks for introducing this book! It’s definitely one that many little girl scouts would be able to relate to. 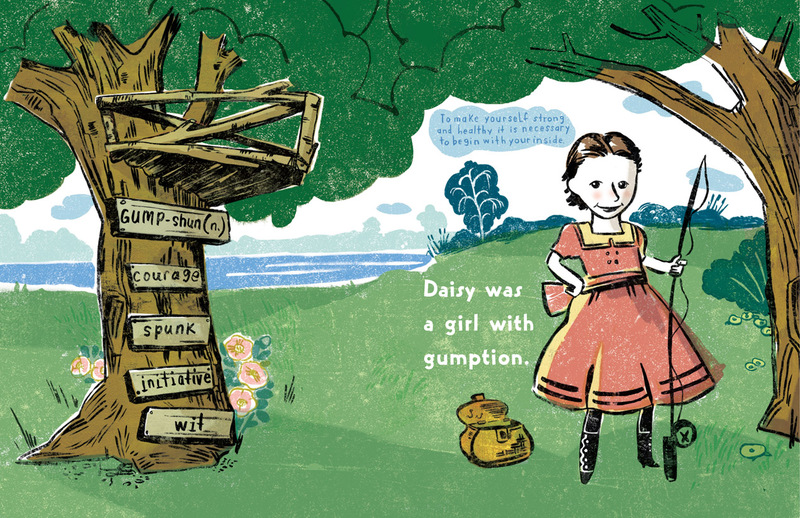 Love non-fiction books that pretend to be just yummy fiction stories! Don’t you just love the description of Daisy on the first spread- “A lgirl with gumption.” I hope I remember to use that phrase when describing my girls the next time something less savory comes to my mind first!